Make spatial data platforms widely used and reliable - a new utility with Spatineo! With our expertice and tools you can maker your Spatial Data Infrastructure flourish! What our Spatineo Monitor Trial offers to you? Boost your Spatial Data To The Next Level! With our trial you get to experience full power of our Monitoring and Analytics. You will gain the full insights we offer and much more. Start increasing the impact of your Spatial Data Infrastructure now! 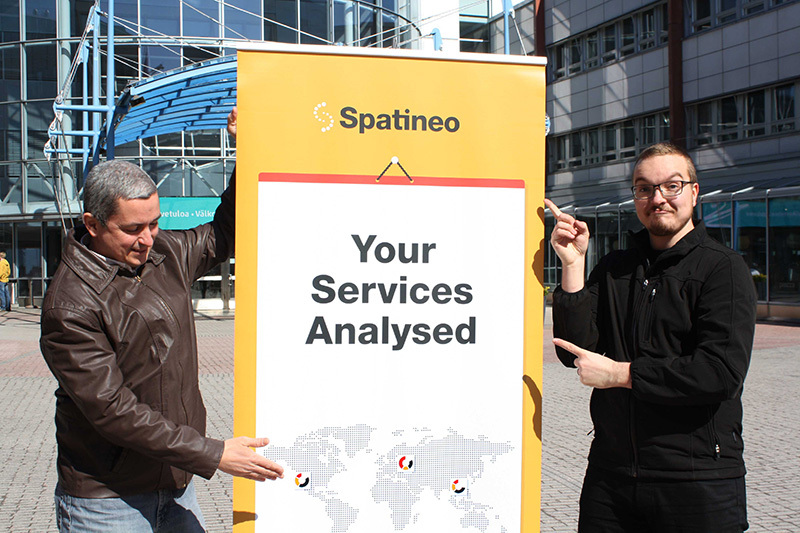 Spatineo Monitor analyses and reports the usage of your spatial web services. 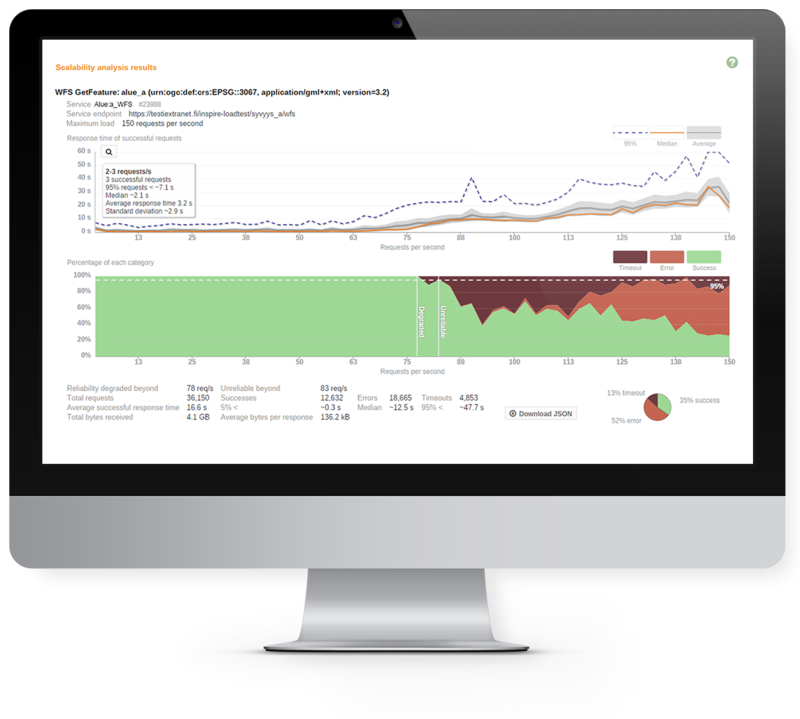 You can see clearly who the users are and how they are using your services with striking interactive graphics. This helps you to focus on your most used data sets and services, and improve the value with well planned investents. 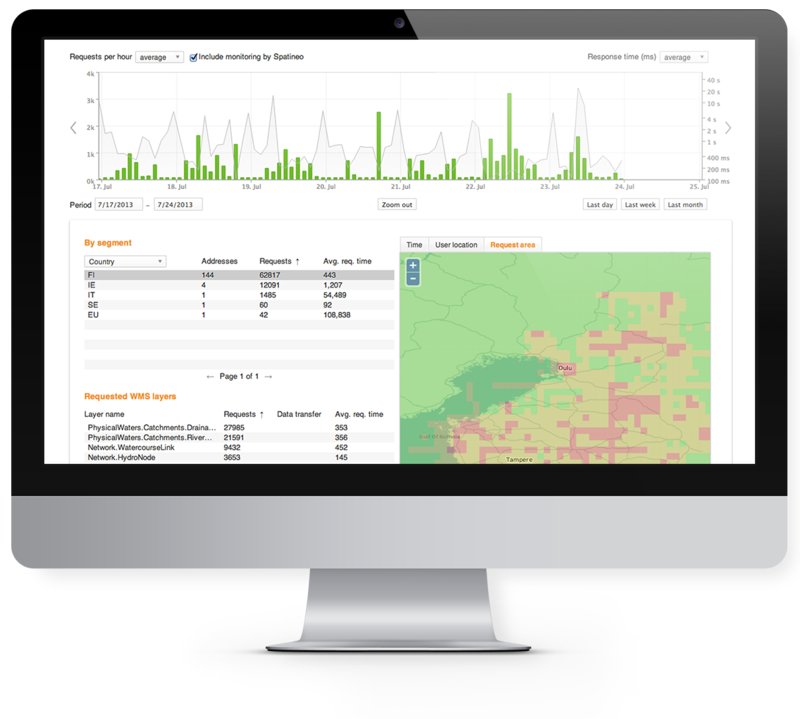 Use Spatineo Performance to discover the maximum capacity of your spatial web service and to identify the bottlenecks that prevent your service from reaching higher capacity levels. Test your services by generating realistic loads ranging from light to very heavy use. You can easily find the development areas to which you should focus your resources. Validate your services with chosen standards, monitor the service level and usage in real time, run automated report with just one click! These are just few of the benefits you're receiving with Spatineo. This all is come without a cost in our 14-days free trial! Click here to get started!